With the amount of things we download and install on our PC, it's normal that it ends up slowing down after a few years. 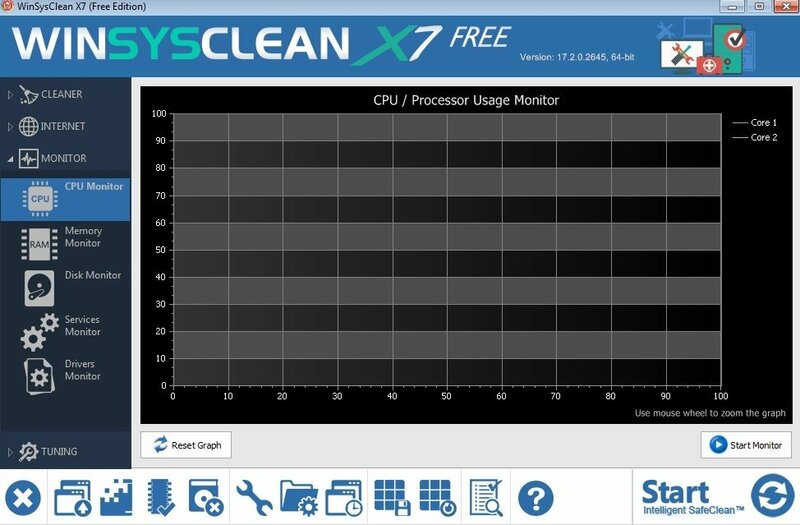 Instead of freaking out, try using WinSysClean X9, a complete cleaning tool to make your PC work like the very first day. 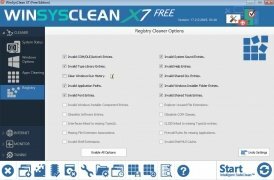 The most efficient Windows registry cleaning and repair tool since 1998. 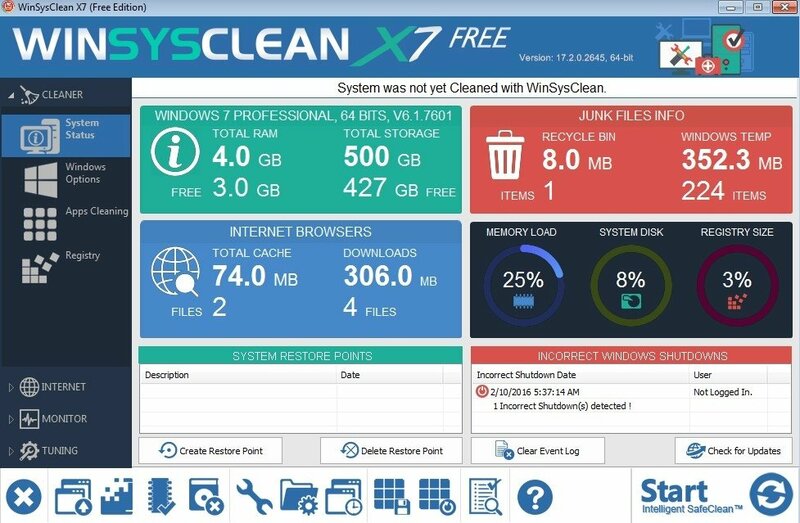 With the previous statement, the developers of WinSysClean X9 summarize the purpose of this software. 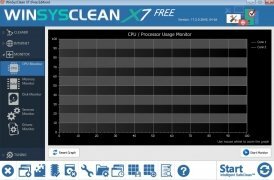 We don't know if it's the most efficient tool, but we do know that it's a very functional and intuitive program to solve Windows problems, clean the registry and maximize its performance. Analyze registries and files to detect and clean invalid entries. 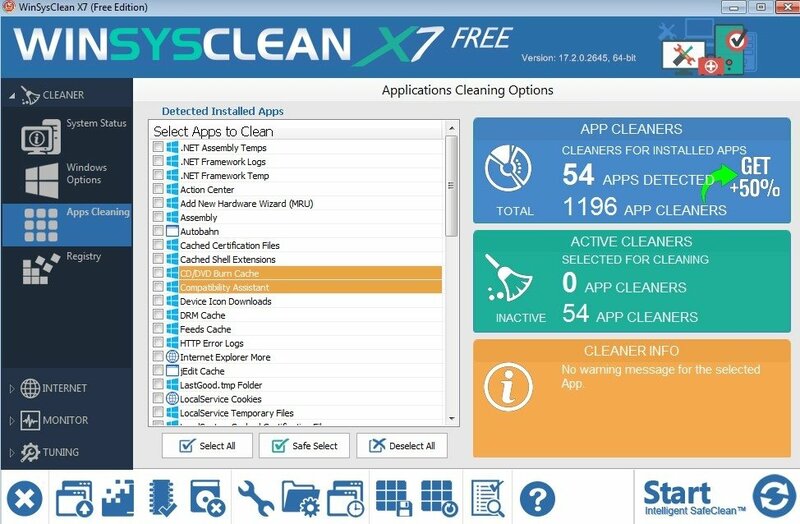 85 functions to clean Windows and over 2000 tools to clean apps. Clear your Internet history and your activity log on your PC. Repair Windows errors relative to missing files and links. Monitor the processor's workload and the use of RAM by means of graphics. Speed up your computer by removing junk and temporary files. Recover free space by getting rid of files you no longer use. Compatible with Windows Vista and above, as well as Windows Server 2012/Server 2008 R2.